Anglican Bishop of Enugu Diocese, Archbishop Emmanuel Chukwuma, has faulted claims by Labour and Productivity Minister, Dr. Chris Ngige, that the Federal Government has spent about N1bn on the burial of ex-Vice President Alex Ekwueme. Ekwueme worshiped in Chukwuma’s parish, the Cathedral of the Good Shepherd, Independent Layout, Enugu. The archbishop, who spoke during a commendation service for the deceased in Enugu on Monday, said the claim was questionable. Ngige had claimed that the Buhari administration had spent N1bn since taking over the former vice president’s medical bills while he was sick, and even after his death. But the cleric dared government to explain “what, where and how” the N1bn was spent. “Ekwueme, being a man of accountability, the Federal Government must give account on how the N1bn was spent”, he said. “We are happy that the government is giving him a befitting burial, but one thing is that people should emulate the legacies he left behind. “It is not good to say all sorts of things without emulating the legacies he left behind,”‎ he said. 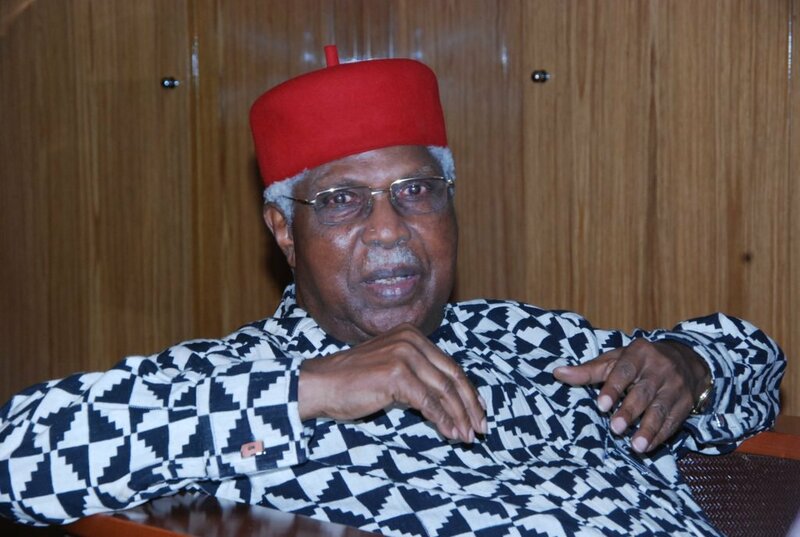 The cleric described Ekwueme as a ‘great politician’ who will never be forgotten in Nigeria’s history.